Location - Plan your space in a room you enjoy and in which you can have privacy. A dark corner of a room or hot garage won't encourage you to visit. While some folks enjoy working out in the company of non-exercisers, equipment can be a noisy distraction for other family members. Flooring - Flooring can be tricky in a home exercise space. Tile is uncomfortably cold and hard. Carpet fibers can be inhaled by equipment and produce operational problems. Rubberized floors are the perfect answer for an exercise space. 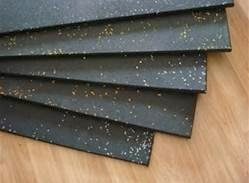 This type of flooring material can resist dents from dropped equipment and also provides a cushion for feet and legs when standing and joints when exercising on the floor. Choices include full rolls, tiles of various shapes, and interlocking tiles. However, if space does not permit, mats are an excellent solution for cushioning heavy equipment and providing comfort while exercising. Space and Height - A ceiling height of at least 8' will be required for most adults. Taller men and women will require more. Plan for adequate width, too. The ability to move freely is essential to a quality workout. Investment - Equipping your exercise space does not need to be expensive. Jump ropes, medicine balls, and dumbbells are all reasonably priced, take little space, and can provide a solid workout. Exercises like the plank for abdominal muscles and push up for upper body strength and can provide excellent workouts utilize no equipment at all. Electrical Requirements - If you decide to purchase more expensive equipment, remember to check the electrical needs of any piece of equipment before buying. Expensive Equipment - Before investing in expensive equipment, visit a reputable equipment store. You should be able to try out the equipment. The staff will advise on choices that will work for you. Evaluate carefully before purchasing; try not to purchase overpriced sculpture. Comfort - Of course, summers in Texas can be brutally hot. Remember to provide for adequate cooling. Plan a space that you can access easily during cooler times of the day to prevent becoming overheated. Working out at home means that you can choose the music and TV settings as well as the temperature. Check out your options for making music and TV easily accessible. 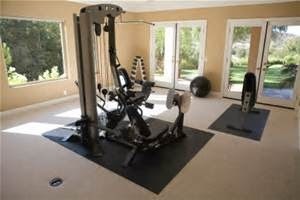 Storage - If you carve your exercise space out of a multipurpose room, provide for storage for loose equipment. 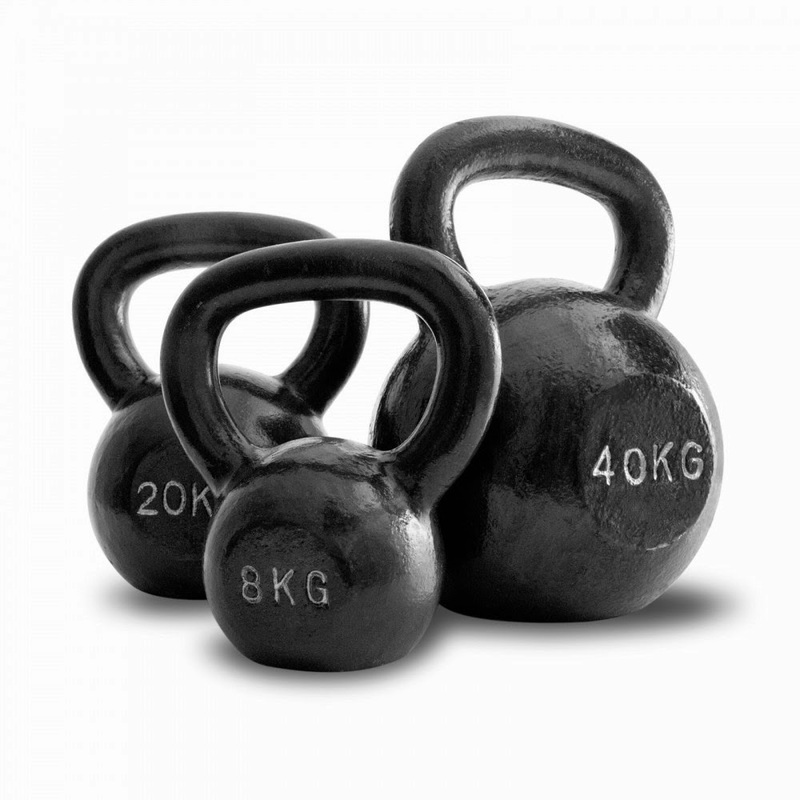 Storing equipment like dumbbells, Kettlebells, and resistance bands makes for a safer and neater space. Commit to Working Out - While you are still excited about the new space you have created, exercise every day for the first thirty days, even if only for five minutes a day. Establish the habit of exercising and visiting your home gym. 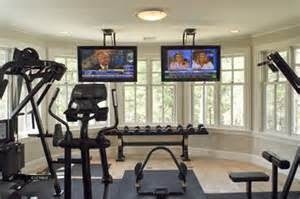 If you are looking for a home with a home gym or space that can be converted to one, contact the Grove Team at Keller Williams real estate.